It’s hard to determine how popular something on Netflix is, since the streaming service doesn’t have to announce its ratings for advertisers like traditional networks do. Still, it seems pretty obvious that Daredevil—Netflix’s first parkour-style leap into the Marvel Cinematic Universe—is a big hit. Just look at how many hip lawyers are moving to Hell’s Kitchen, or how many kids are pushing old men out of the way of trucks carrying radioactive chemicals. Well, whether it can be proven or not, Daredevil is a hit and Netflix is jumping on the hype by announcing that it has already granted the show a second season. However, there will be some changes behind the scenes this time around, as season one showrunner Steven DeKnight has been replaced by Buffy The Vampire Slayer writer/producer Doug Petrie and Sons Of Anarchy writer Marco Ramirez. 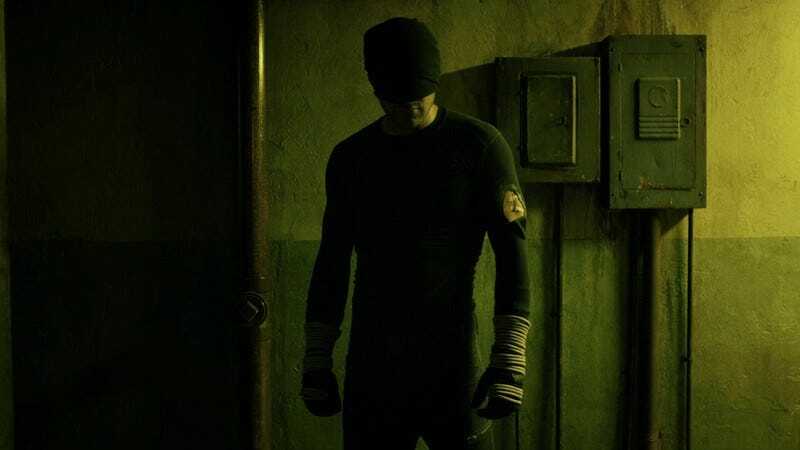 They were both writers and producers on the first season of Daredevil—and, according to Netflix’s press release, they “worked closely” with DeKnight—so don’t expect any wild stylistic shifts for season two. We don’t know when the next season of Daredevil will premiere, but it’s safe to assume that it will be at some point after all of Netflix’s other Marvel shows—Jessica Jones, Luke Cage, Iron Fist, and the Defenders team-up—have debuted.